Here shall some day be found pictures of my Napoleonic forces - mostly British - and British and American forces for the war of 1812. I have however often thought of doing the War of 1812 - so most of this with be British (that I could use in either Europe or North America) and American forces. As with most things I have units of multi-figure bases for larger battles, plus a few individually based for skirmish games. The ones on multi-figure bases I've put on 60mm frontages to use with some DBA variant or another with battalions being made of three elements of 8 (units of 24). But I'd also planned to make extra stands on 30mm frontages to expand the units to 32 figures for Black Powder... or possibly Neil Thomas' Napoleonic Wargaming. I've also started painting a few individually-based figures for use with Song of Drums and Shakos. This it the 42nd Regiment of Foot (Royal Highland Regiment). The figures are all from Front Rank Figures, the flag was painted by myself. 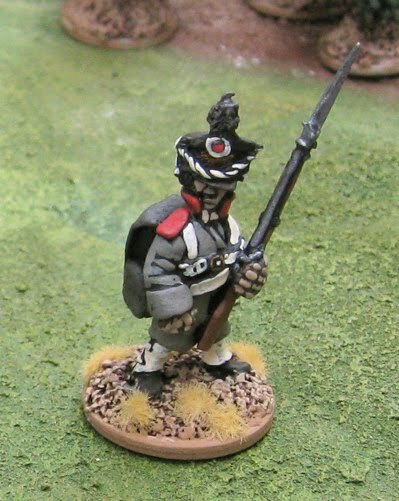 There are more pictures of this unit in this post: Napoleonic Highlanders. Four elements of Light Infantry (which would make one unit of light infantry/skirmishers in Neil Thomas' rules) . I'm pretty sure these are actually old Minifigs. 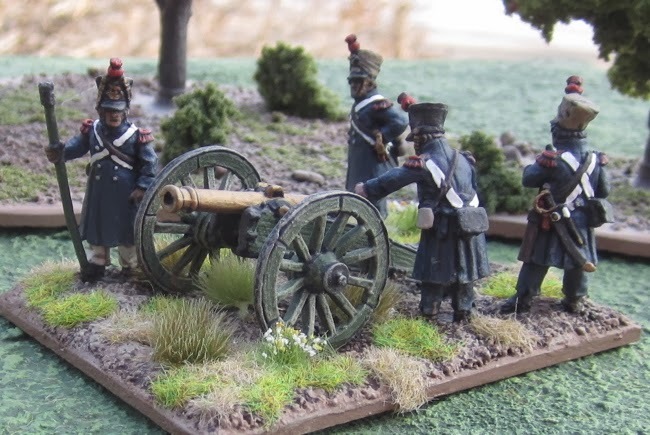 These are Napoleonic Royal Artillery from Renegade Miniatures. 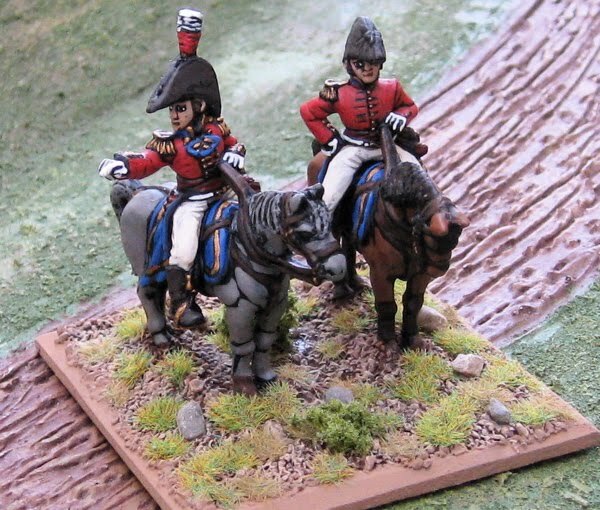 I also have some Hussars and Household Cavalry from Renegade Miniatures to paint up at some point. These are a mix of Wargames Foundry and Minifigs. 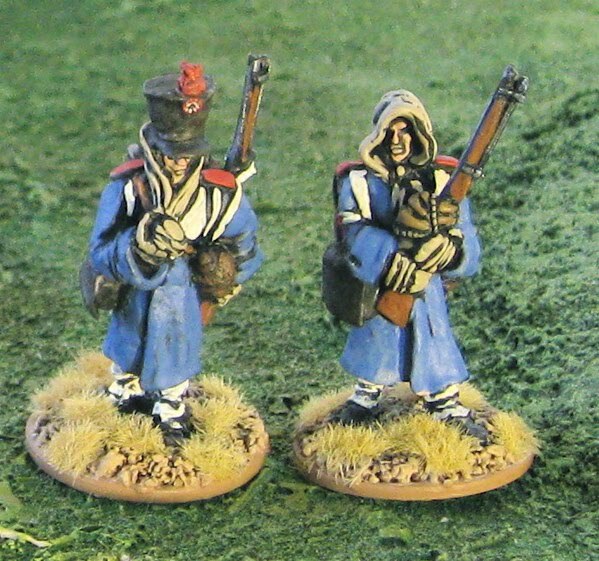 These Highlanders are also mostly from the Foundry (though there is one from Victrix!). 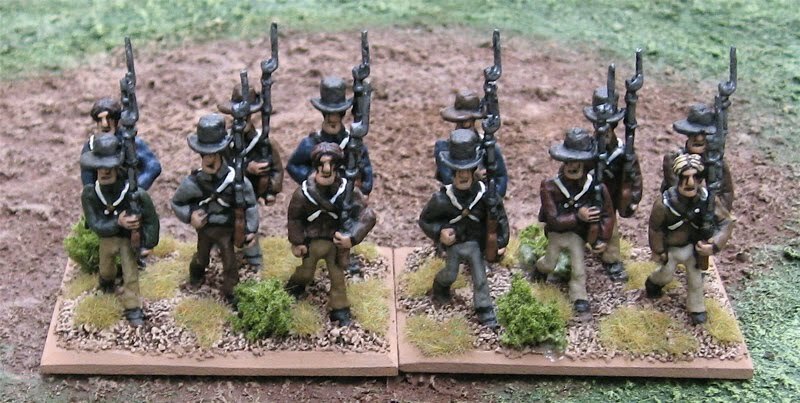 I am building a small collection of French - enough for a force for use with Neil Thomas' rules and a few individual figures for skirmishing with Song of Drums and Shakos. 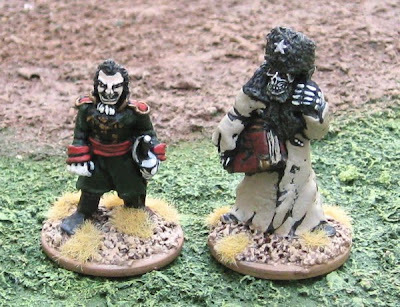 For Skirmishing I mostly have a bunch of plastic figures from Hät. ...and these are a mix of Carabiniers and Voltigeurs (and a Chasseur officer). I picked up a bunch of Hät Prussian Line infantry - to form the nucleus of a big battle army - and a few extras to base individually for skirmishing. 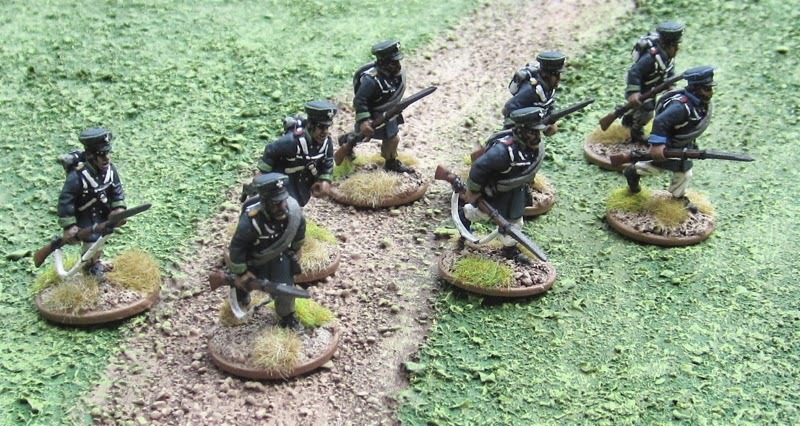 I also happened to pick up a few metal Landwehr for skrmishing. 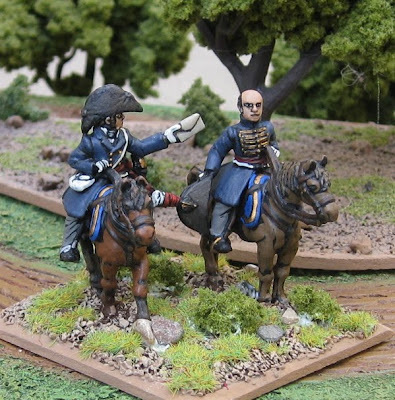 These Prussian Landwehr are from Warlord Games. 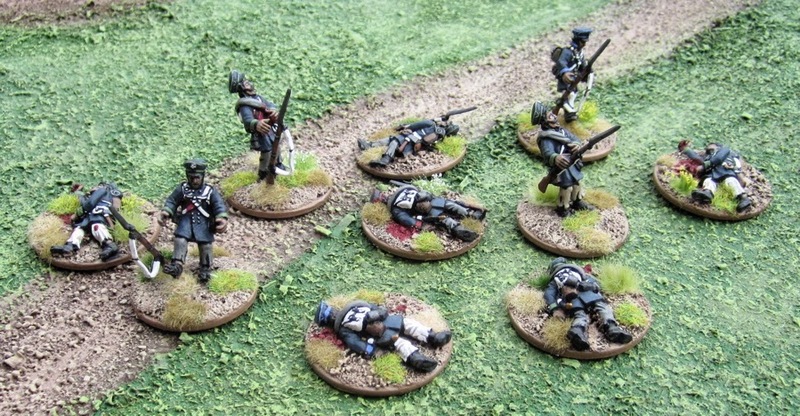 These Prussian Landwehr casualties are also from Warlord Games. I actually have MORE casualties that live Landwehr!? 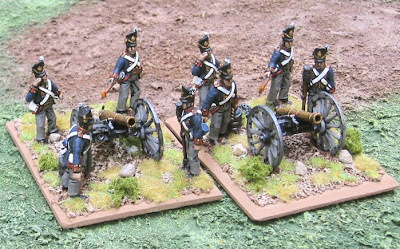 A well, I could use a few to litter the battlefield with previously wounded Landwehr...? I also picked up a few boxes of Hät Bavarian Line infantry... Who knows when I'll ever get to painting any of them... but I have them, and if I ever paint any, I'll post them in this space. Two elements of my own homecast generic militiamen. I also have a handful of these fantasy Napoleonics from Alternative Armies Flintloque/Slaughterloo line of miniatures (that I have no where else to post...). I picked up a box of them super cheap off of ebay a while back. Some days when I've had too little sleep I get silly ideas about buying an entire army of Undead Russians and French Elves and building a pair of opposing Hordes of the Things armies... but then I'll have a good nights sleep and come to my senses... If ever I ran out of stuff to paint and too much money in my pocket (and they were still available...).